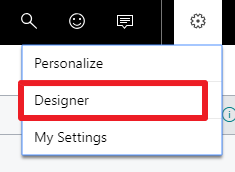 If you already played with the “design” page functionnality in Business Central, you probably hurt to the struggle “how to design page in Business Central as in the sandbox environnement”. Microsoft didn’t provide the possibility to download back an installed extension (as .app) you can only download the source code (when it’s allowed by the publisher). It’s probably to minimise compatibility errors by installing extension from a different BC version.